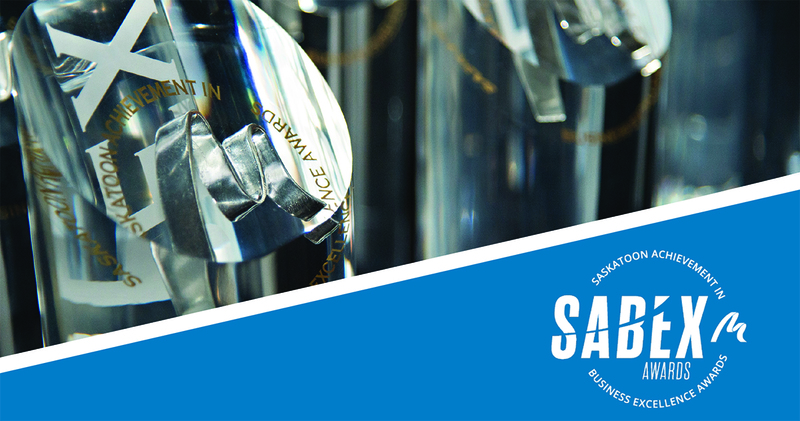 Trusted Saskatoon Partners Announced As SABEX Awards Finalists! Saskatoon and area have many great businesses that have raised the standards for the community and industry at large. 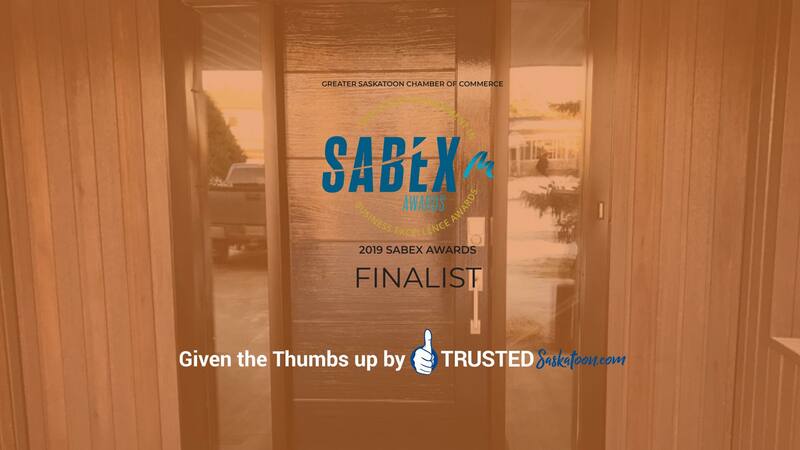 At Trusted Saskatoon we value businesses run with integrity and are proud to announce that FOUR of our Trusted Saskatoon Partners are Finalists for the 2019 SABEX Awards! Rob Scott (Owner) has always taken great pride in exceeding clients expectations when it comes to customer service. Glenwood Auto Service has a long history of delivering quality auto repair and service since 1973. Their motto from the beginning has been "fantastic service is our discount". Glenwood's commitment to superior customer service has remained consistent and because of this, the business continues to grow. Their customers are extremely loyal and Glenwood always listens to feedback to continue to grow. With over 2000 positive client reviews in an industry that is flooded with horror stories, we are proud to have Glenwood AutService as Trusted Saskatoon AutoRepair & Tire Specialists! Marketing (Sponsored by Handy Special Events): Finalist - Decora Homes Ltd.
Decora Homes specialize in building high-end custom homes. A multi-award winning home builder with over 10 years experience. When they unleash their creativity they excel and they love incorporating new ideas that make them truly unique. Decora Homes have always marketed their company to showcase the quality and uniqueness they are known for. Decora Homes have earned recognition for their distinctive design and spectacular detail. Decora Homes have been a Trusted Saskatoon Home Builder for over 5 years with no complaints. Owner, Bradley Wiebe has been installing windows and doors in Saskatoon and area for over 10 years. When starting his own company in 2015 he knew that his focus would be on ensuring quality workmanship and exceptional customer service. Wiebe Windows & More has a 5-star rating and numerous customer testimonials and is on target to grow as a business by another 40% this year. Trusted Saskatoon is proud to have Wiebe Windows & More on our directory of excellence and to be able to promote their company with a new website, logo design and more through Trusted Marketing Services. Chelsey Harder is a hard working business owner who also believes in giving back to the community. Chelsey started Passions Beauty Studio in 2009 at the age of 20 and it has now evolved into a high-end salon, boutique, and barbershop. The Barber Shop is managed by her husband and has been open since 2017. Most recently she created, developed and is co-owner of her own hair brand, PRIME Hair Brand. Her motto is if you choose a career you love you won't have to work a day in your life. Passions Beauty Studio and The Barber Corner are a Trusted Saskatoon Salon! Congrats to these amazing individuals and Trusted Saskatoon businesses on being named a 2019 SABEX Awards Finalist! DISTINCTIVE, CONTEMPORARY...DECORA HOMES. They build to reflect your personality, they design to meet your needs...They build relationships, DECORA HOMES...it's ALL in the details. Decora Homes are your Trusted SASKATOON HOME BUILDERS on the Saskatoon Directory. WHAT AN HONOR! 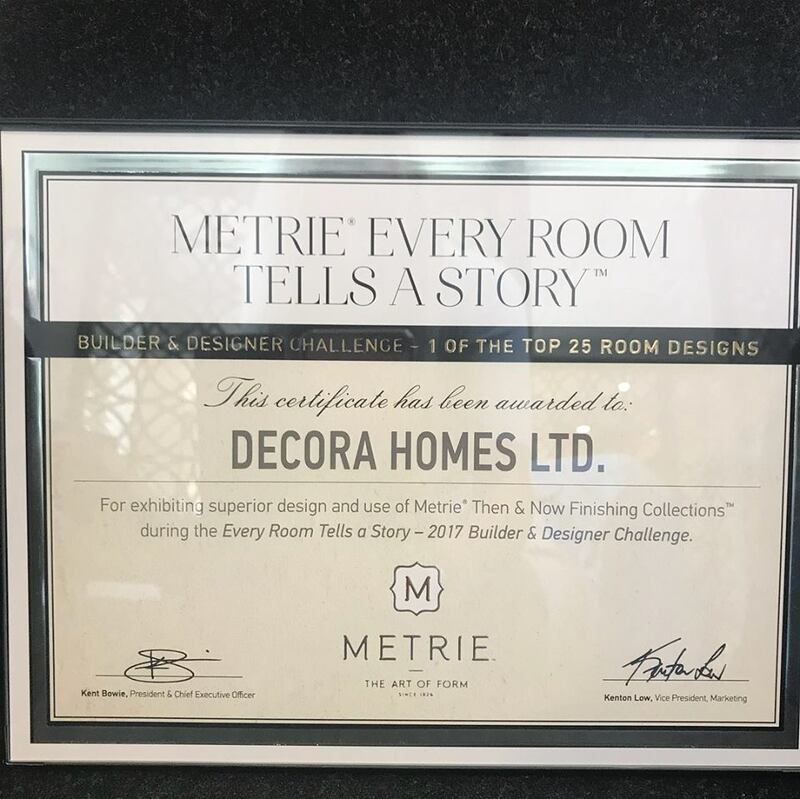 Decora Homes was recognized as Number 7 in the Top 25 Room Design in the 2017 Builder & Design Challenge with Metrie! The amount of entries submitted for this challenge was extremely high throughout Canada & United States. For Decora to be acknowledged in the top 25 is truly an honor! Decora Homes Ltd. are a Trusted Saskatoon Homebuilder. 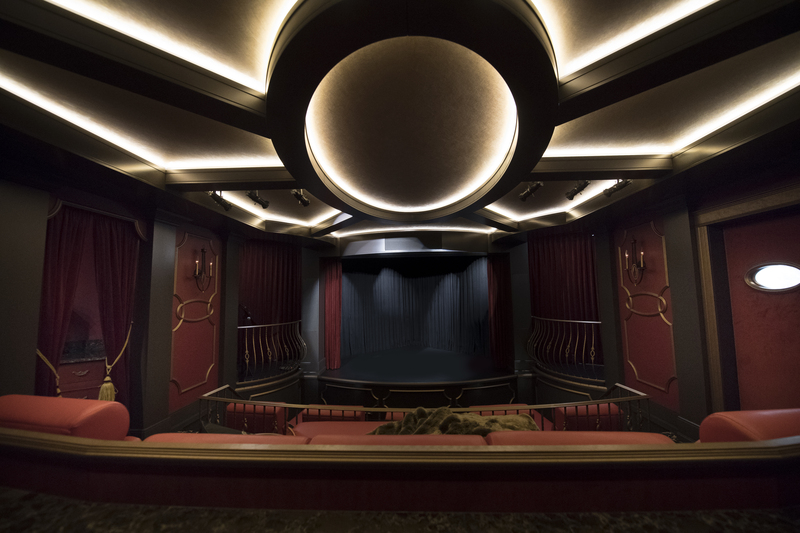 Their design team Whitney Romero & Kristi Katsiris worked hand in hand with the clients to create this stunning Majestic Theatre. These ladies truly represent Decora Homes remarkably well with their design inspirations and creativity. Proud moment for all of the Decora Team! Decora is truly blessed to have clients that share a vision with them and allow them to be creative and design such beautiful spaces!! Find Decora Homes online HERE , or check out their listing under SASKATOON HOME BUILDERS on the Saskatoon directory of Excellence they are a TRUSTED SASKATOON HOMEBUILDER!! The Trusted Saskatoon Directory team is proud to support many different community initiatives including this event that two of our Trusted Saskatoon Partners supported! 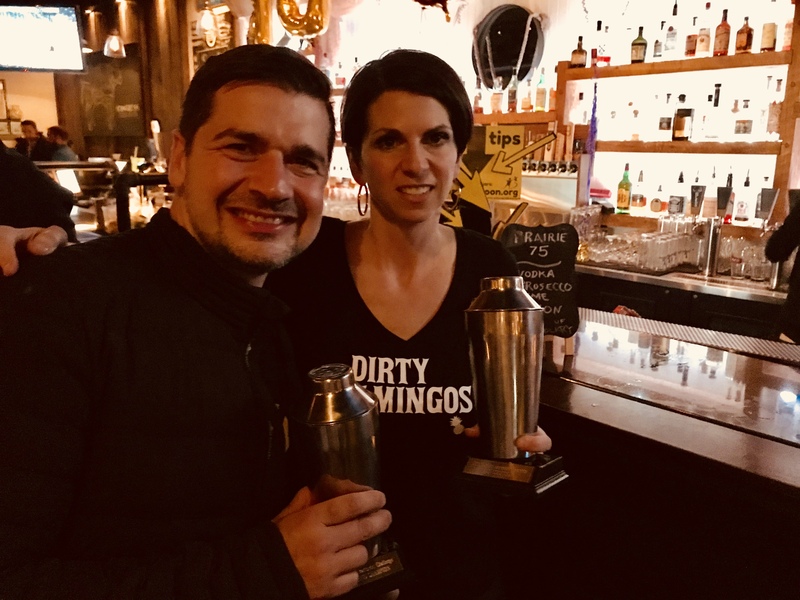 Ricky Iula, Decora Homes Ltd. and Kari Calder, Century 21 Fusion both participated in the Celebrity Bartending Challenge on April 11th at Congress Beer House in Saskatoon in support of Big Brothers Big Sisters. On April 11th at Congress Beer House in Saskatoon Ricky Iula and Kari Calder showcased their bartending skills and sold their signature cocktail to raise money for this great cause! It was a wonderful evening raising awareness of the importance of positive mentors and supporting youth in our community. Ricky Iula from Decora Homes Ltd. stepped up in a HUGE for Big Brothers Big Sisters and raised $21,825 earning him the top fundraiser award and bragging rights! Ricky set a goal and exceeded it by reaching out to his amazing team, suppliers, family and friends for support! Ricky puts a 110% into everything he does including the stunning custom homes they build for their clients. Kari Calder, Trusted Saskatoon Realtor showed off her bartending skills at the Local Bartending Challenge and earned herself the best cocktail award for her Dirty Flamingo! She also raised money for STARS ambulance with every flamingo cup sold and donated hundreds of dollars to Big Brothers Big Sisters of Saskatoon! Kari is a multi-award winning realtor and she truly cares about the Saskatoon community! Big Brothers Big Sisters of Saskatoon and Area's mission is "Every Child in Canada Who Needs a Mentor, Has a Mentor." This year alone Big Brothers Big Sisters of Saskatoon will change lives for more than 600 children and youth in Saskatoon helping to support them to be more confident, feel secure and become leaders. Many children and youth in Canada struggle with societal barriers and face adversities in their lives. This organization is there to support them by providing positive mentors and experiences. Thank you both for your contributions at the event to support this great organization! Whether you are looking at custom building or buying/selling these two amazing Trusted Saskatoon Partners have you covered! See client testimonials and more by clicking links below! Ricky Iula, owner of Decora Homes Ltd. a Trusted Saskatoon Home Building Company! Kari Calder is a multi-award winning Trusted Saskatoon Realtor!